Smaller scaled bureau with six drawers and cedar lined two bottom drawers. 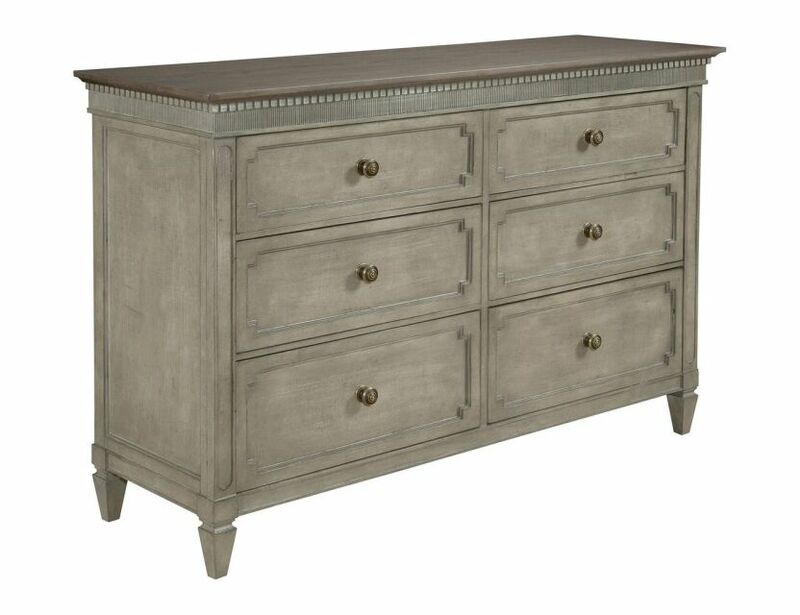 top drawer drops down for component storage and finished off with a mocha elm finish top. Details include framed drawer panels, dentil moulding and reeding on the top of case.